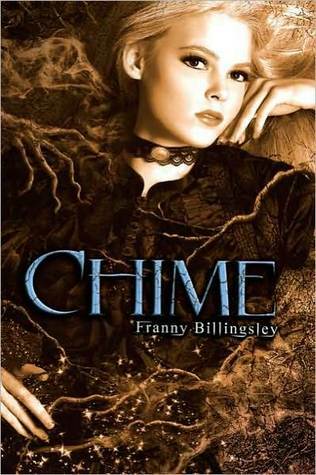 Chime is one of the most interesting, oddest books I’ve ever read. It took me a good while to get used to the dialogue that main protagonist Briony carries on between others and herself as well as the quirky little side traits of each supporting character. But by the end I was impressed by the creative and rich storytelling. The style feels like a mix of bedtime stories and children’s folklore set in Victorian England near an eery swamp. It’s narrated by Briony who is the Parishioner’s daughter as she grapples with hating herself and the fact that she’s a witch. She has spent most of her young adult life blaming herself for her step-mother’s death, her sister’s mental incapacity and her unnatural ability to see the Old Ones. Along comes Eldric, the Alehouse owner’s son returning home after a failed attempt at the University in London to live with Briony, her twin sister Rose and their father. Briony is expecting a child, when in actuality Eldric is a man of 22 who reminds her of a lion. The friendship between the two of them unfolds in a charming way and Eldric is a perfect gentleman (which is why the last chapter of the book really threw me for a loop and led me to some trouble suspending disbelief.) I truly enjoyed Eldric. As a mother of autistic children I loved the way author Franny Billingsley portrayed Briony’s sister Rose as well as the fidgets Eldric is always carrying and creating in his hands. The setting and world building is fascinating as it was to see fairy tale creatures like Brownies, the buggy mun and mucky face come to life for Briony. Quite honestly this book is brilliant. Once you get a sense of the true meaning behind Briony’s actions in the end, it leaves you going back through the entire plot to unravel what happened. If you enjoyed The Near Witch by Victoria Schwab you’ll like Chime. Now I’m curious to read more of what Franny Billingsley has to offer! Content: mild swearing, moderate violence, discussion of the effects of drugs and drinking, attempted sexual assault. For ages 16 or older.